Andrea Zanfei’s mischievous smile reveals the wild enthusiasm he has for his beloved land, vines and wines. 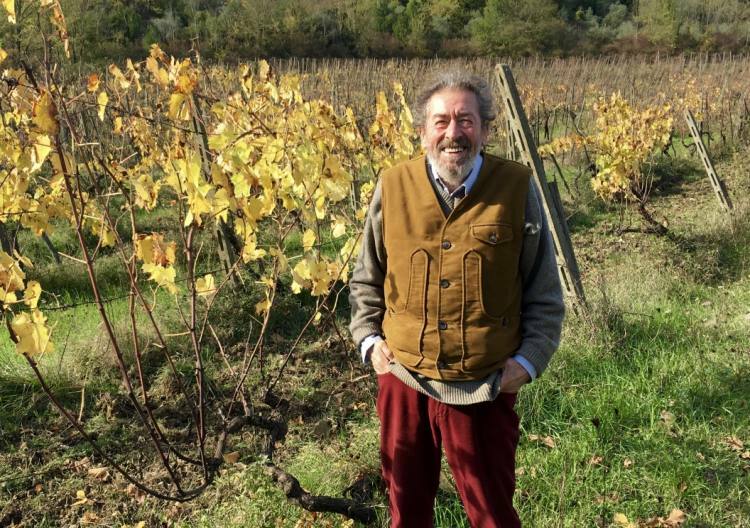 It belies his years and even the challenges that he and his wife, Valentina Libri, have faced since taking over her family’s historic estate, Fattoria Cerreto Libri, in 1994 and converting to biodynamic agriculture in 1997. “The idea that people prefer industrial wine simply isn’t true,” he told me. 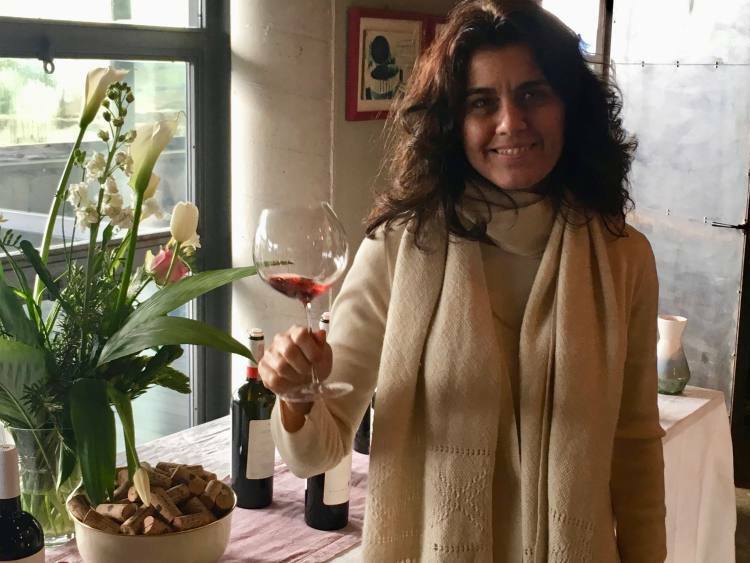 “People drink what’s available, and by and large, the wine on the market is industrial.” Andrea believes that good wine comes from good grapes and good grapes come from good agriculture. It’s as clear and simple as that. “And patience is key,” he added. Before going out to walk in the vineyards, Andrea uncorked a bottle of Fattoria Ceretto Libri Canestrino Bianco Toscana IGT 2011. “Always a good idea,” he said with a chuckle…and I agreed. Canestrino is an orange wine made from Trebbiano (90%) and Malvasia (10%). It had a lot of body (14% alcohol), but wasn’t heavy. The vivacious contrast between aromatic richness (from the skin contact and the Malvasia) and bright acidity (from the Trebbiano) made it deliciously drinkable, even without food. 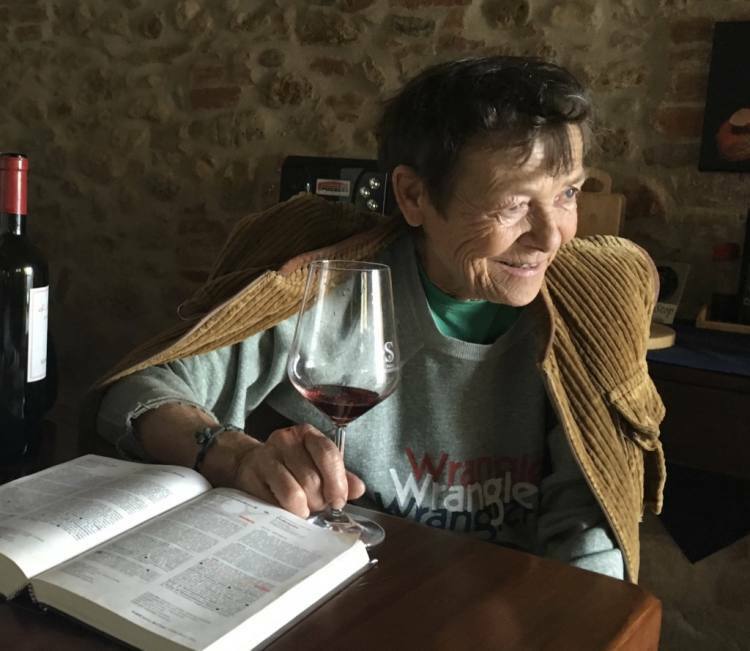 Walking among his forty year old vines, Andrea underlined that biodynamic practices are similar to old farming methods that came before the rush toward industrialization in the 60s, 70s, and 80s. “In those years, the technical and chemical aspects of wine were assigned more value than the soil or the vines,” he said. “But now it’s time to break that dominance.” The consequences of killing the soil and forcing the vines with industrial products is becoming ever more clear. Before Andrea started growing grapes and making wine, he was a teacher in a liceo classico (top level high school teaching a classic curriculum) in Florence. 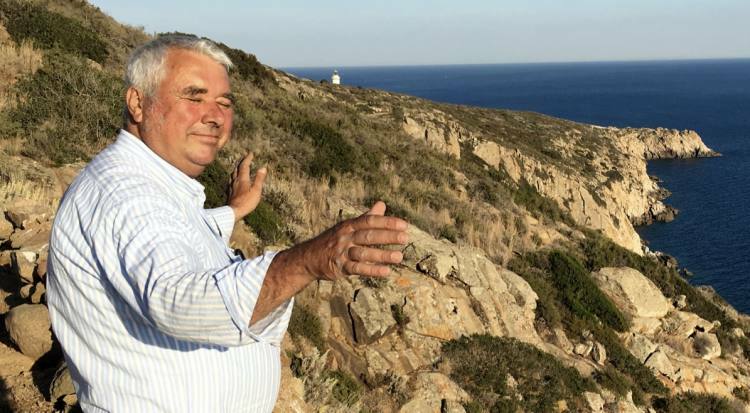 Then, as he tells the story, “Valentina invited me for dinner with her family, and I never left.” He continued to teach full time until 2006, while managing the wine and olive oil production on the estate. 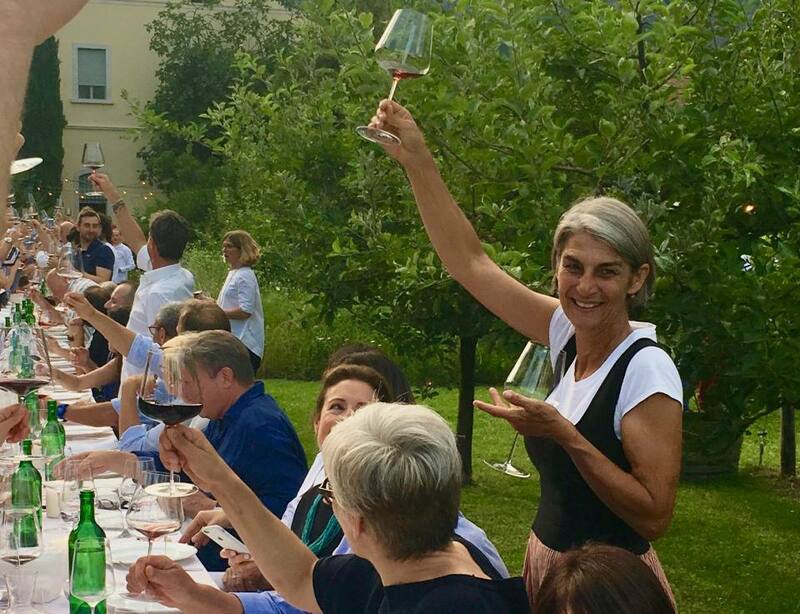 Cerrito Libri is certified biodynamic and a member of Nichola Joly’s Renaissance Italia, headed up by Stefano Belotti of Cascina Degli Ulivi. Andrea is the only organic/biodynamic winegrower in the Chianti Rufina DOCG zone. Andrea keeps his biodynamic “500” hummus in this shed. And that flows into this “dynamizer” where the water is spun in a double vortex. The “500” mixture is then sprayed by hand in the vineyard. It sparks the growth of the tiny micro organisms that de-compact, enrich and vitalize the soil. Cerreto Libri has a fascinating history going back to the late 1700s when the main villa was built in a time that the Grand Duke of Tuscany, Leopold II of the Austro-Hungarian dynasty, was instituting “Enlightenment” reforms, especially in agriculture. At that time the estate included huge tracts of land and was worked by sharecroppers. It was a self-sufficient entity, almost like a small town. The hub was here at the villa. Up the hill from the villa, is what was once the estate managers’ house, called a “Leopoldino”. It has remained unchanged and is probably the best preserved example in Tuscany of a kind of structure that was once ubiquitous. The ground floor had room for the stalls, the farm tools and a covered space to work in bad weather. The middle floor was living space for 2-3 families and the upper floor was a roost for pigeons and chickens. 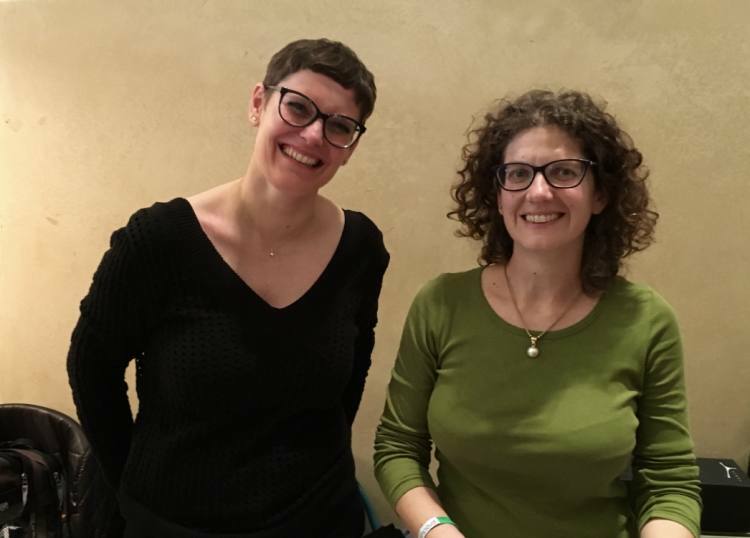 Andrea and Valentina now own just a portion of the original estate, about 34 hectares (84 acres) with 16 hectares in woodland, 13 in olive groves and and only 5 planted with vines. It is located fewer than 20 kilometers east of Florence in the hills of the Chianti Ruffina area with the Arno River passing below. They live in one of the original houses on the property. And Andrea has his cellar and tasting area in one of the buildings next to the villa. In June of this year, 2017, he and Valentina decided to leave the Chianti Rufina Consortium and make IGT wine only. 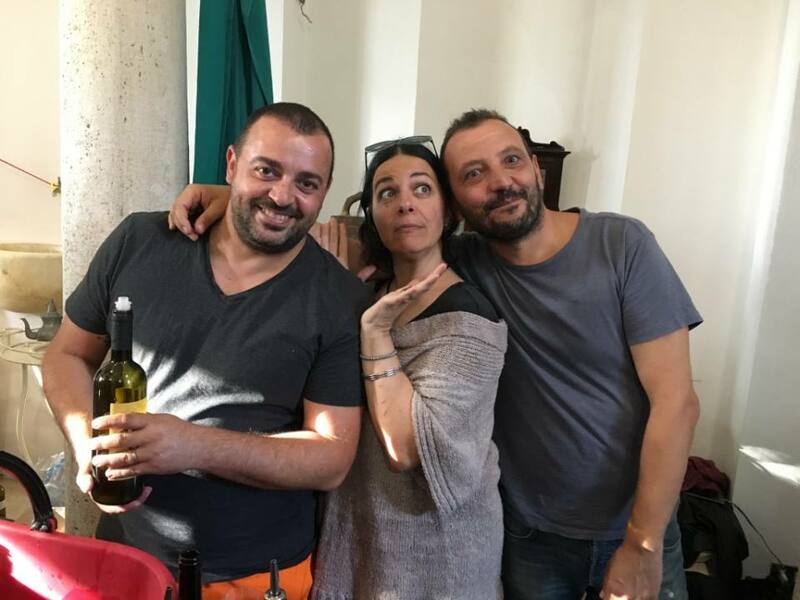 Theirs is a decision made by many of the best organic/biodynamic/natural winegrowers around Italy (and on this blog) because of bureaucratic pressure to make wine that is less “authentic” and more suited for mass consumption. I first tasted and bought these three vintages at Vini Dei Vignaioli last year, then, bought more on my visit to Cerreto Libri. (Andrea has now sold out of 2007 and 2010, two extraordinary vintages.) Fattoria Cerreto Libri Chianti Rufina DOCG is Sangiovese (90%) and Canaiolo (10%) from Andrea’s oldest vines. Each vintage has its own personality (as is evident even in reading the % alcohol–13.5%, 14,5% and 13%) but there is a common thread among them…a fresh, clean acidity, velvety tannins and rich layers of subtle aromas and flavors. Ideal pairing for just about anything from pasta dishes, to meat on the grill or aged cheeses. The grapes ferment spontaneously in these large cement tanks. Then, the wine rests here for about a year while Andrea monitors and tastes and keeps his notes by hand. Finally, the wine is transferred into wood barrels for 3 or 4 years aging in this lower cellar. This is where the patience comes in. The wine goes back into cement just before bottling. It was astounding to go down into the cellar and see how small Andrea’s production is. Every glass is truly a valuable and unique expression of this place, this history, these vineyards, this cellar and Andrea’s amazing energy.